Just like it would be expected Chioma aka Assurance sent in her birthday wish to her ‘hubby’ Davido. 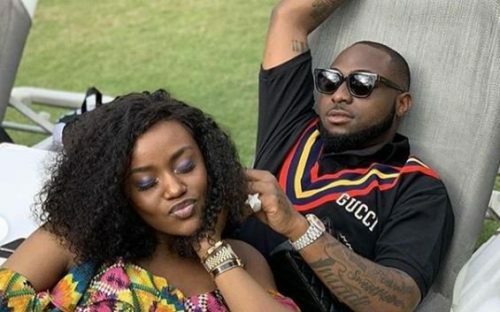 In her simple message to Davido, Chioma called him hubby but added a twist to it. She reminded the singer of his promise to stay together forever. The Chef Chi as she is called borrowed a line from Davido’s song ‘Assurance’. Hence she wrote ‘Happy birthday hubby 😍 if you leave me water go carry you o 😛 God bless you my love. You’re so annoying but I’d choose you to annoy me for life‘.